As I mentioned, I’ve pretty much used the tools that were available and in demand. I started with BASIC in college, used Microsoft Access / VBA when I was working in an office and moved on to the .NET languages as a professional programmer. Along the way, I’ve learned popular scripting languages like HTML and SQL and worked with more obscure languages like ObjectPAL. Most importantly, I’ve used the tools that were needed at the time and got the job done. Above all, I recommend that you start with a platform that you’re going to find immediately useful and interesting whether that be smartphone apps or website design which can include multiple languages depending on the preference of the programmer and what’s available on the web server where the website will be published. If you’re really interested in programming, a short exploration of a new language for its own sake can be interesting but, as I’ve said, long-term practice is the key. Microsoft is still a huge player in today’s market, even if it’s having to share the field with a few more competitors than it used to. For beginning programmers, Microsoft products also offer the most support and documentation through Microsoft’s own site and third-party sites like this one. While there’s more and more emphasis on web and smartphone apps, creating standalone programs for Windows is still a good way to be introduced to programming and has the advantage that you can quickly create your own executable programs without needing access to a web server or other equipment. Microsoft and other companies also offer a lot of free programming tools that you can simply download and install to get started. Microsoft’s offerings include the Visual Studio Express products. Visual Studio is what’s called an Integrated Development Environment (IDE), a graphical environment that includes all the tools you need to write, test, debug and deploy your own programs. The Visual Studio programs cover both Windows and Web programming. While the full version costs hundreds of dollars, the Express versions offer most of the same functions and are completely free to install and use. In addition, there are incredible amounts of reference materials on the web, both from Microsoft and elsewhere, that will provide you with any answers you need when learning how to use these tools. Often, it comes down to typing a question into Google. For Windows programming with Visual Studio, there are two primary languages that you can choose from; Visual Basic and C#. Visual Basic (or VB.NET) is a descendent of the BASIC programming language and offers commands that are very similar to English. C# (pronounced “C Sharp”) is related to the C programming language in which Windows was originally written. It can look a little more intimidating and has stricter rules about syntax (C# is case-sensitive where VB.NET is not. C# code lines usually end with a semi-colon. etc..) The advantage with C# is that it resembles other popular languages like Java and PHP so if you learn C#, you’ll have an easier time learning those languages when the time comes. Visual Studio languages use Microsoft’s .NET framework, a huge library of functions that is designed to standardize and simplify all areas of programming. When installing Windows updates, you might have seen the .NET framework among the recommended items. Installing the framework makes these functions available on your machine so that programs written in a .NET language can access them. The Internet has become so pervasive that even if you’re programming standalone applications, there’s a good chance they will access the Internet for information at some point. When I first designed a website back in 2000, I was using Microsoft FrontPage which was a lot like Microsoft Word or Publisher. It provided a WYSIWYG (What You See Is What You Get) environment where I could create the content. The program generated the HTML code in the background and sometimes added its own proprietary code. Then I just uploaded the files and the web server would take care of the rest. It was a start but it was only the beginning. HTML (HyperText Markup Language) is still the backbone for most of the content you see on the Web. At the core, web pages are text files with tags (markups) that signal whatever browser you’re using to format the text in a certain way. Basic HTML is pretty easy to learn and you should learn it if you plan on doing any web design, even though there are plenty of programs out there just like FrontPage that will write it for you. To be a programmer and truly take ownership of your work, you need to know what’s going on in the background. I don’t generally write pages in raw HTML because it would take too long but I am able to get in there and edit the HTML if necessary and fix problems that just aren’t fixable at the WYSIWYG level. CSS (Cascading Style Sheets) is another technology you’ll need for serious web development. A CSS file is a set of formatting instructions that a web page uses to format the content. It is used to separate the formatting instructions from the page content itself. This enables the web designer to have multiple pages with a consistent look and feel while writing the instructions in one file. It also removes a lot of coding instructions from the pages themselves so that search engines can index them better. The next level up from HTML are the languages that add dynamic features to a website that HTML can’t provide. Some examples would be displaying the current date when a website is displayed or pulling specific information from a database based on the user’s identity. I programmed another site to show random quotes and advertisements on each page. The site also had an article search page that pulled the information for the site’s content from a database that I created. The information was pulled using ASP.NET which is a style of programming that combines HTML with VB.NET or C# to create dynamic features like those. Visual Studio also covers web programming and can create dynamic websites using ASP.NET. As many different technologies can be used in web design, it’s important to remember that you don’t have to pick all of them up at once and, just like with Windows applications, there are tons of documentation available online for any question you might have. Applications for the various devices and tablets will continue to get more and more popular as people slowly move away from the traditional PC and laptop toward devices that they can easily carry such as phones and tablets. There are new programmers out there already who have gotten their start programming mobile applications. Software Development Kit (SDK) – This is a collection of software and tools that you can use to create software for a device. For example, the Android platform is based around a Linux operating system and mostly uses the Java language for its apps. An SDK is available that you can download and install to get started programming applications. Application Programming Interface (API) – In the world of programming, an interface specifies how your program can communicate with another program or collection of code libraries. It might simply be the names of functions that can be accessed from outside the program to perform certain calculations. Major websites like Facebook, Google and Amazon provide APIs so that developers can write their own applications to use the data the sites make available such as product information. On many websites, including this one, you’ll see link buttons used to share the site’s content on Facebook or Twitter. Even these could be considered to be part of an API since they involve code that the web designer obtains from Facebook or Twitter and incorporates into his own site so that the two sites can interact. Remembering these two terms, you will find it easier to track down the programming resources available for any software platform, online service or device. From this point on, you’ll probably find yourself noticing them quite a bit more as you surf the web or work with different technologies and you’ll start to see the world slightly differently as you realize how many opportunities are out there to develop your programming skills. One more thing I want to mention in regard to programming is the database. No matter what kind of applications you’re programming, at some point you’ll need a place to store data whether it’s a user profile, customer and order data or blog entries. As I said, I used databases to store the data for previous websites. 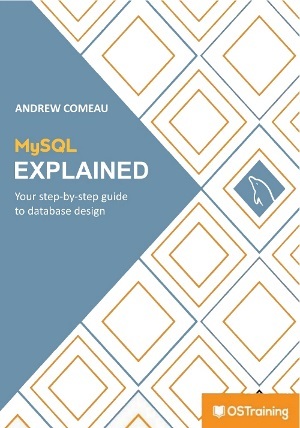 There are a number of databases out there that you can learn about and each has its benefits depending on the environment in which you’re using it. I started with Microsoft Access which is a fine desktop database and a great way to learn about database principles. I later moved on to Microsoft SQL Server which is more appropriate for network applications with large stores of data where security is required. SQL Server also has its own programming environment that makes use of stored procedures. These procedures use a scripting language called Transact SQL (T-SQL) and can be called by programs in other languages like C# to carry out complex operations on the data within the database. Outside the Microsoft environment, there’s also MySQL, which is often used with web applications and languages like PHP. The WordPress blogging software uses MySQL to store all of a blog’s data. MySQL has the advantages of working on both Windows and Linux web servers and being open-source. Other examples would be SQLite and SQL Server Compact Edition, smaller database systems used for data specific to single programs like mobile applications. While it’s not necessary for a programmer to be a full-fledged database administrator, it is important to have a good grasp of database principles because knowing how to efficiently communicate with the database will help your program perform that much better. There are a lot of technologies out there, they’re constantly being updated and the field is constantly changing. There’s far too much for any one person to learn and it’s easy to be intimidated by that but the only thing you can do is find the type of programming that interests you and dive in. Know that it will take you a few years to become proficient but that’s no worse than pursuing a four-year college degree and you can do this a lot cheaper. The best part is that with every week that goes by and every project you take on, you will be learning new things and adding to your experience.